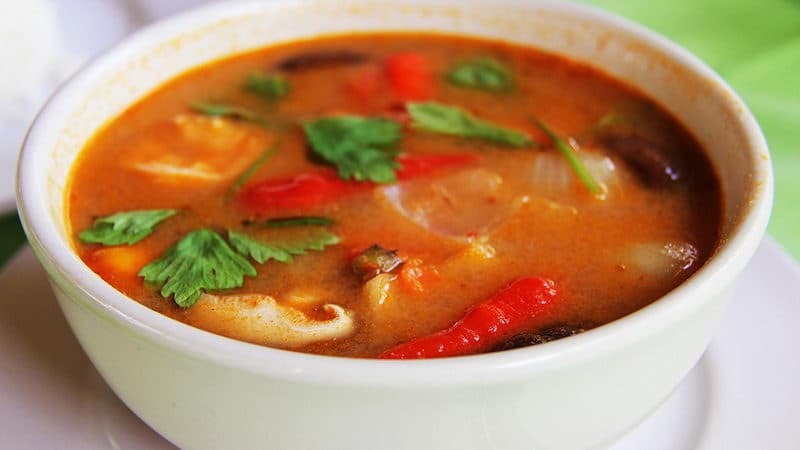 This Thai masterpiece soup contains, shrimp, mushrooms, tomatoes, galangal, lemongrass and kaffir lime leaves. You can order yours with coconut milk and cream or plain for a bit more sour taste and healthy version. This is an authentic Thai delicacy that gets many locals and tourist alike talking and spreading across the world. 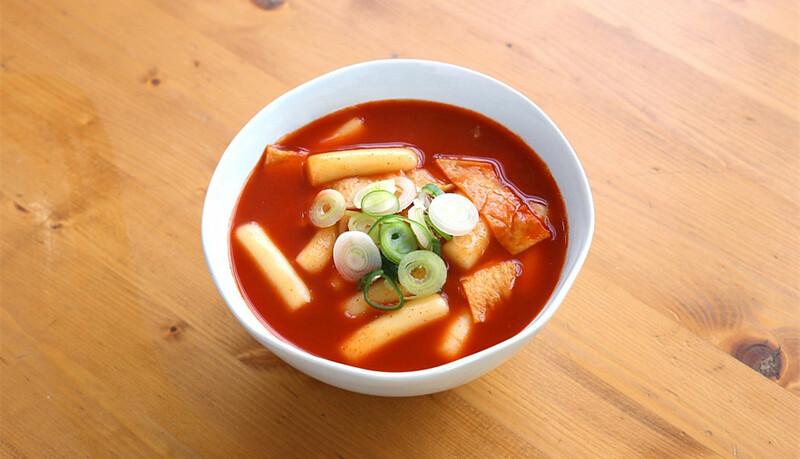 This is a fusion of sweet, sour and spicy in one bowl of soup. The base of the soup is made with vegetables like carrots, cabbage and green beans. The soup can however be served with deep fried omelet. Gang Keow Wan (Thai green curry) is one of the most popular dishes in Thailand. 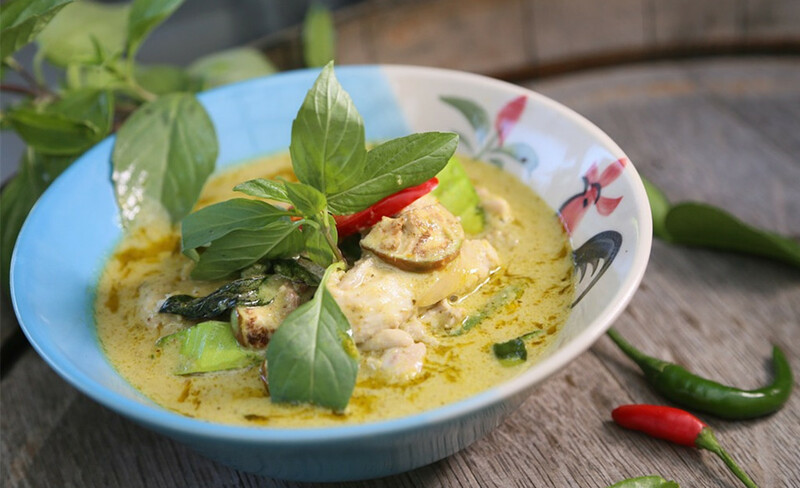 It is made with green curry paste, coconut milk, chicken, Thai basil, Thai eggplant and almost every roots and herbs available in the Thai cuisine. This makes it a delightful dish to remember. PanangGai is a red curry paste fried with chicken and doused with coconut cream that creates a succulent and spicy curry. 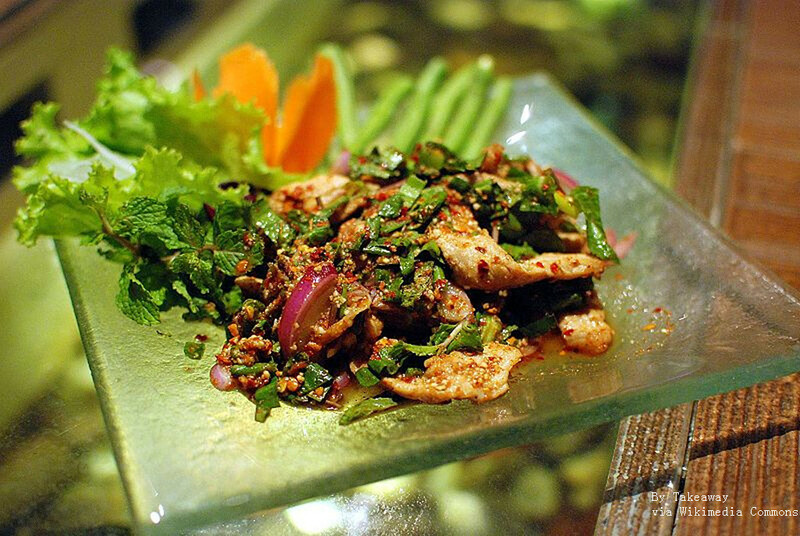 The dish is served with chopped kaffir lime leaves sprinkled on its top. Gang Massaman is a sweet curry with origins from southern Thailand and served as a Halal dish. The curry sauce features a mixture of curry paste, milk, hints of nutmeg with cinnamon and a peanuts flavoring. The dish is typically pre-made with chicken and chunks of potatoes soaked in coconut milk. This is a Thai yellow curry paste made with chicken, onions, tomatoes and pepper. This dish is particularly spectacular because of the added egg into all the ingredients with a decent amount of parsley added for extra flavoring. 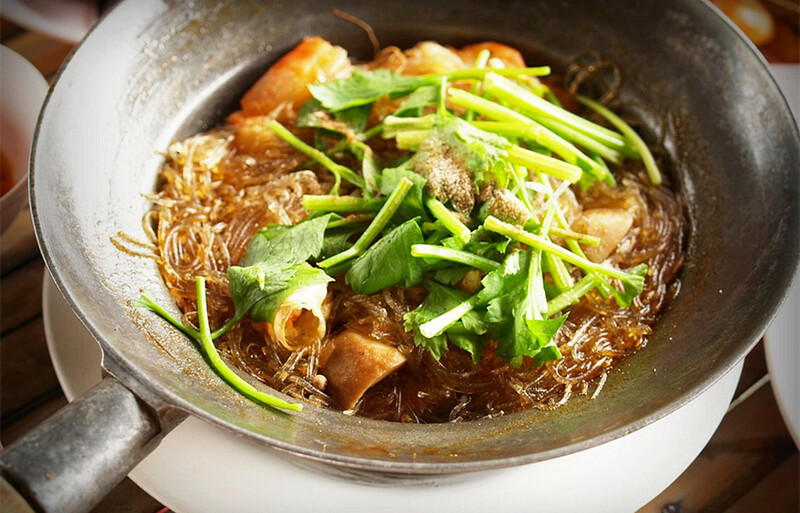 Gang jued is a mixture of garden vegetables such as carrots, onions, cabbage with other ingredients like minced pork, tofu, and some fresh parsley. 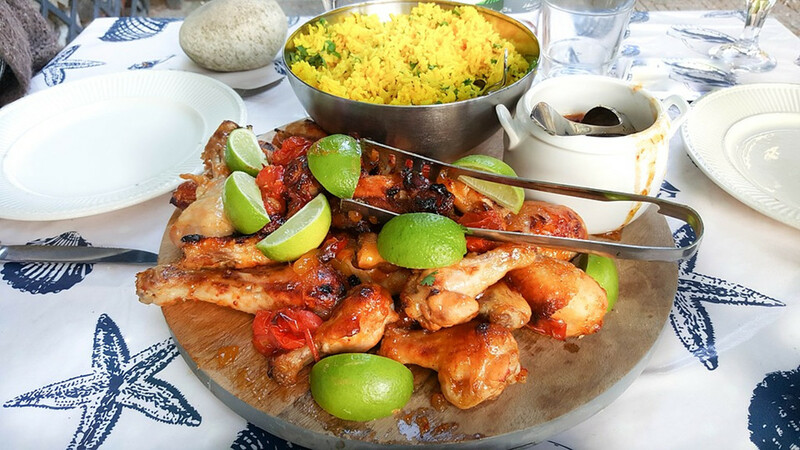 Jim Jum is a meal best enjoyed with friends. 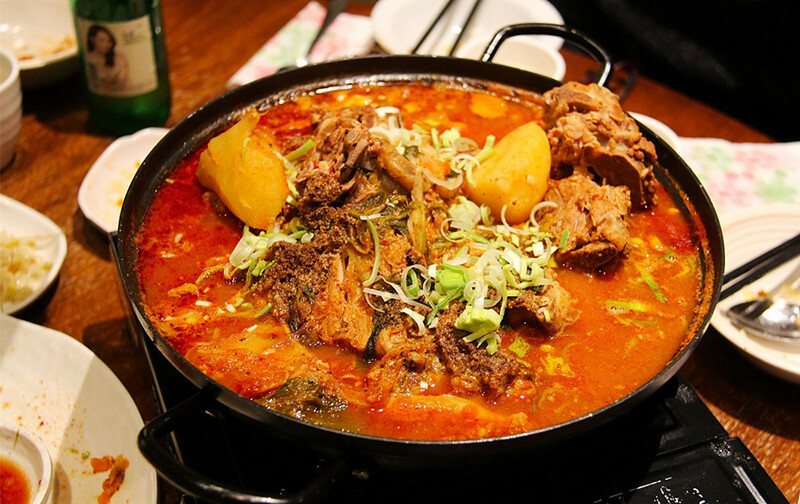 Vegetables and meat are mixed together in a clay pot that is placed over a bed of charcoal. The ingredients include raw morning glory, cabbage, meats (usually pork and liver), beat eggs, glass noodles, and Thai basil. 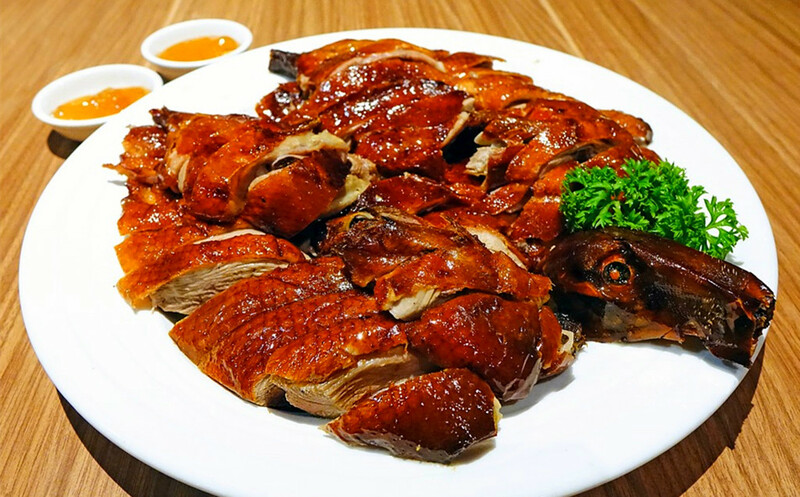 Kao Na Phet is roasted duck, and it is a specialty in Thailand as the meat is fattier with unique taste different from chicken. 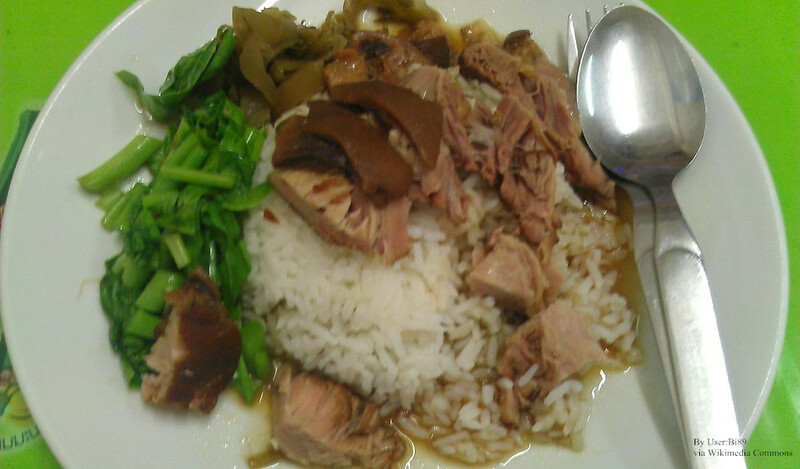 Kao Na Phet is served on a plate of rice with a variety of duck parts. This dish is always served with a simple duck soup. 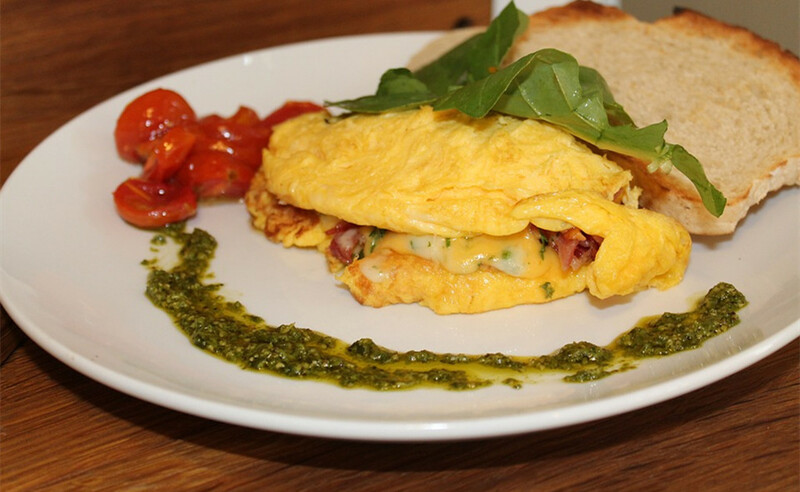 Kai Jiew Moo Saap is a Thai-styled omelet and a very easy to prepare comfort food. 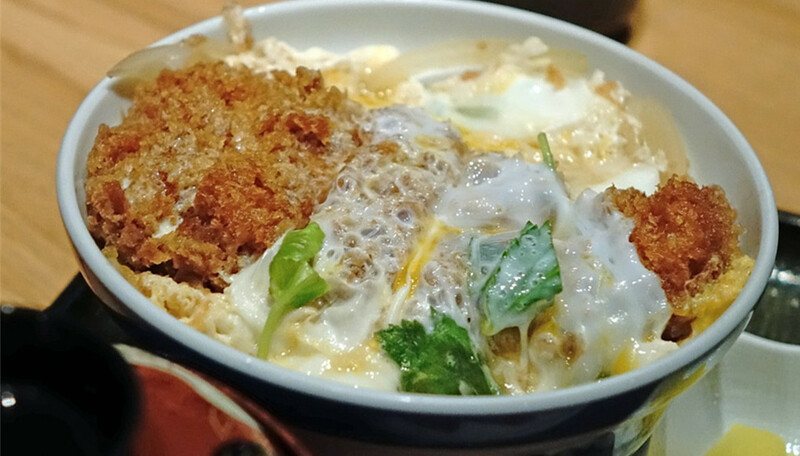 The eggs are usually beaten up with fish sauce, soy sauce with minced pork. The omelet can be taken with a plate of rice, and best served with some little chili sauce. 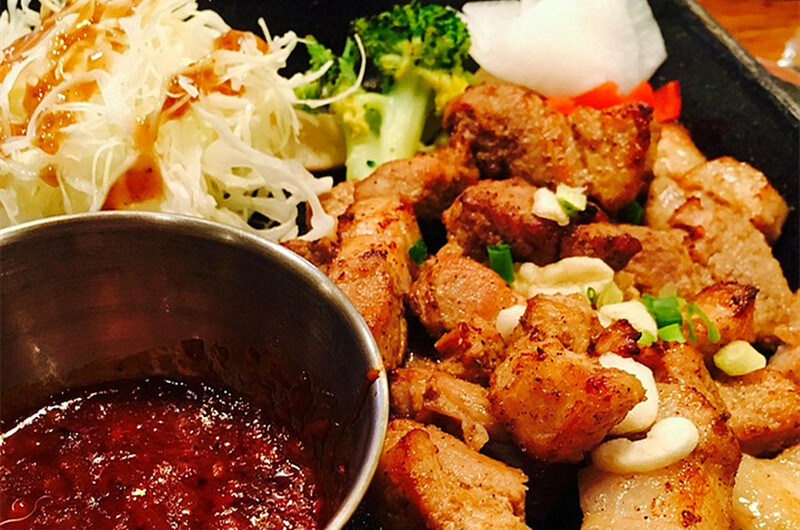 This is grilled pork skewers and sticky rice. They are available in little bags almost everywhere you look any time of the day in Bangkok. This is deep fried pork prepared in a dark sweet soy sauce. The pieces of pork are served with chili sauce with green onions and sticky rice. This meat salad comprises of tender pork cutlets, grilled and mixed with lemon juice, sweet onions and some amount of fiery chilies. 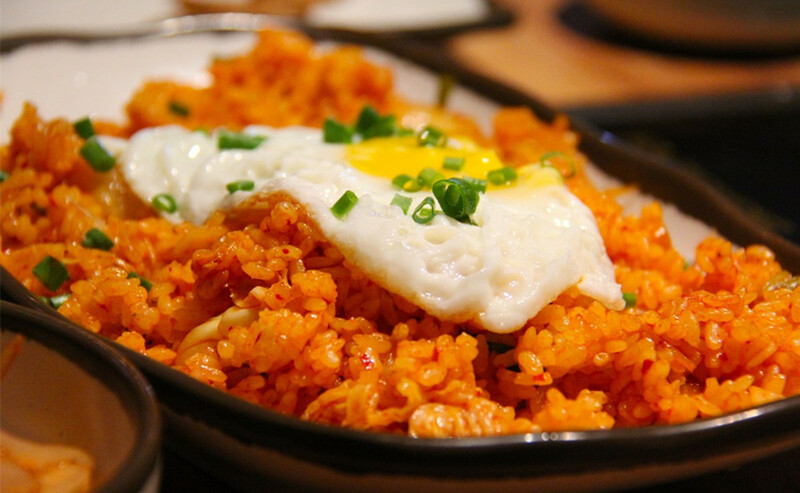 The food is best served with sticky rice. Gai Yang is available everywhere you look. It's grilled chicken served with a pile of tangy and some sticky rice. 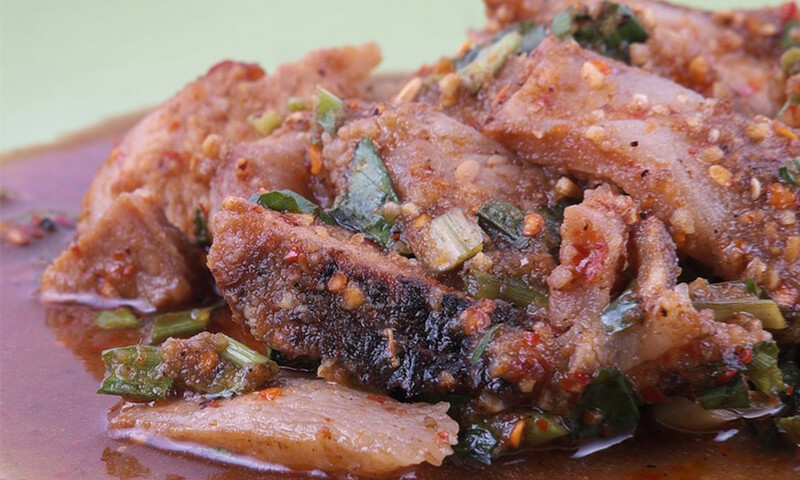 Kao Ka Moo is prepared by boiling pork hours in sweet soy sauce with hints of cinnamon and anise. This dish is usually quite visible with whole soy sauce stained pig legs sitting openly in large metal pans and steaming through the day. Kao mok gai is a Muslim dish that contains rice cooked with chicken stock with added saffron , turmeric and bay leaves. 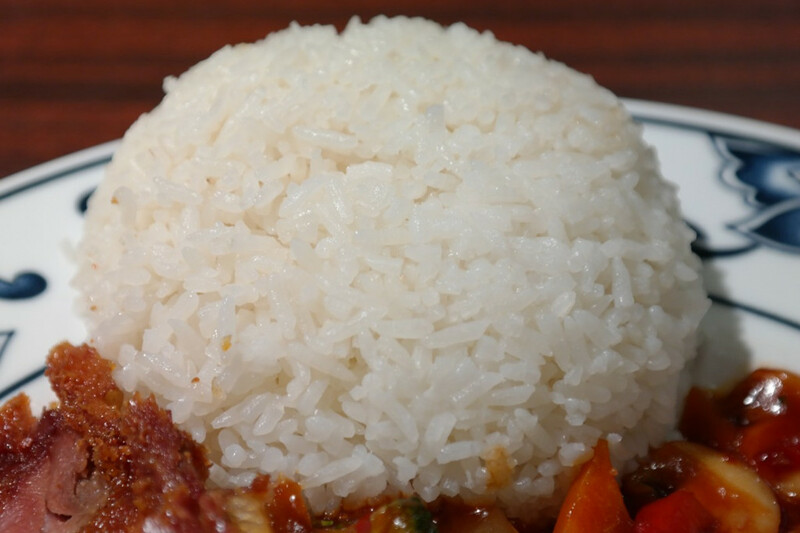 The cooked chicken and rice gives it a yellowish color. Fried onions and cilantro may be sprinkled on top, with some pickle garnish and spicy sauce. Kao Moo Dang is essentially a plate of rice covered with barbecued thin slices of pork with some sausage and boiled egg. Gravy is spread all over the rice and the pork is sprinkled with cilantro and onions, which makes for a delicious dish ideal for a late night treat. 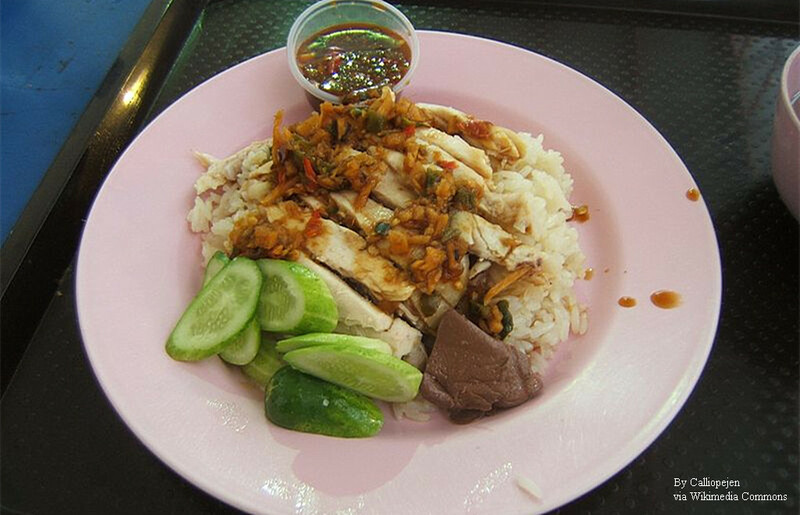 This is chicken rice prepared by chopping boiled chicken into a plate of rice, that is made from fatty chicken stock. 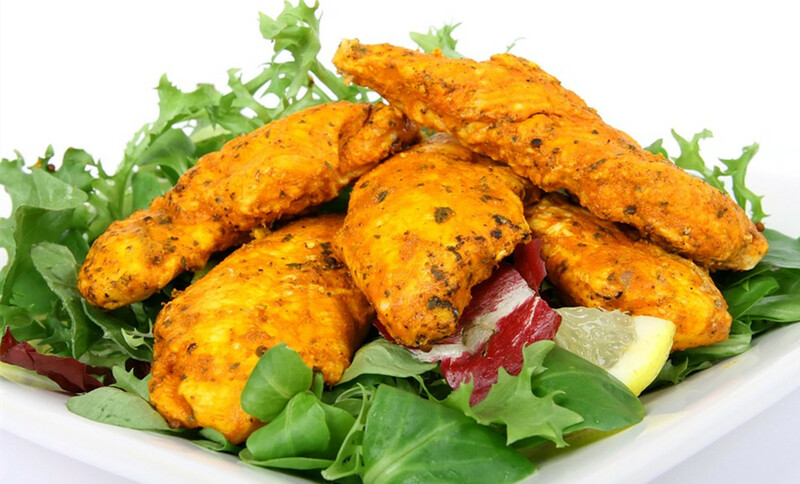 The food is best served with a light chicken soup or ordered alongside fried chicken. Nantock means "waterfall" in Thai. 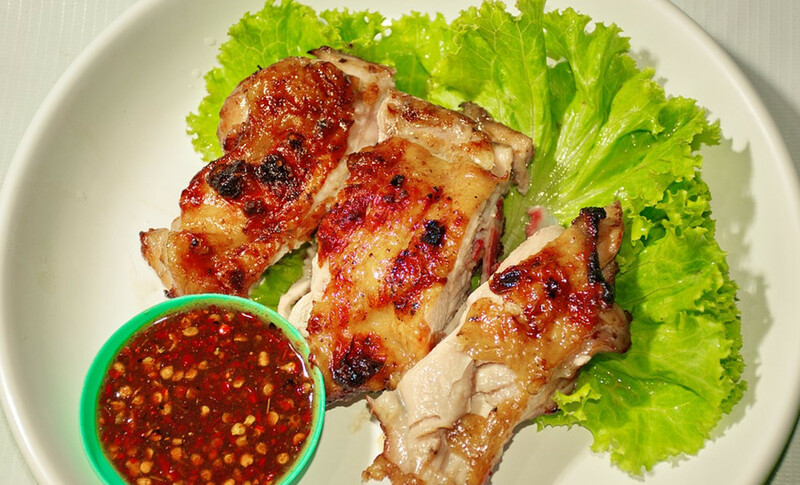 Grilled meat and tender pork are mixed with plenty of lemon juice, green onions, chili peppers, mint twigs, fish sauce and baked rice to make the meat taste fresh. This is a popular dish that is made from minced pork and liver with a dressing of lime juice, fish sauce, mint, onions and rice crunch. Larb Moo can make for an incredible sticky rice dipping liquid.